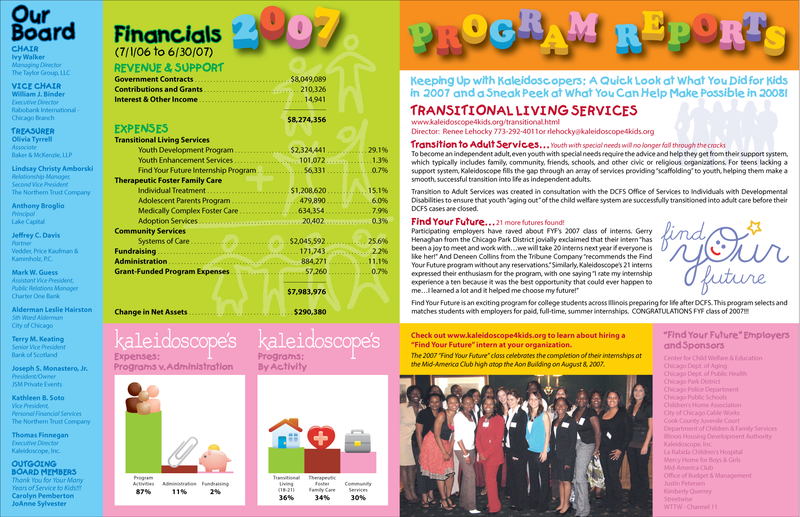 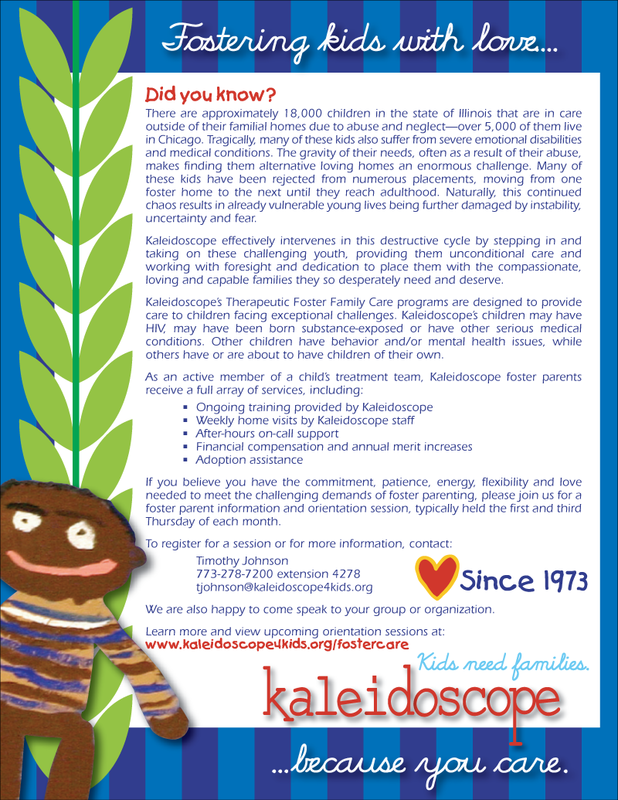 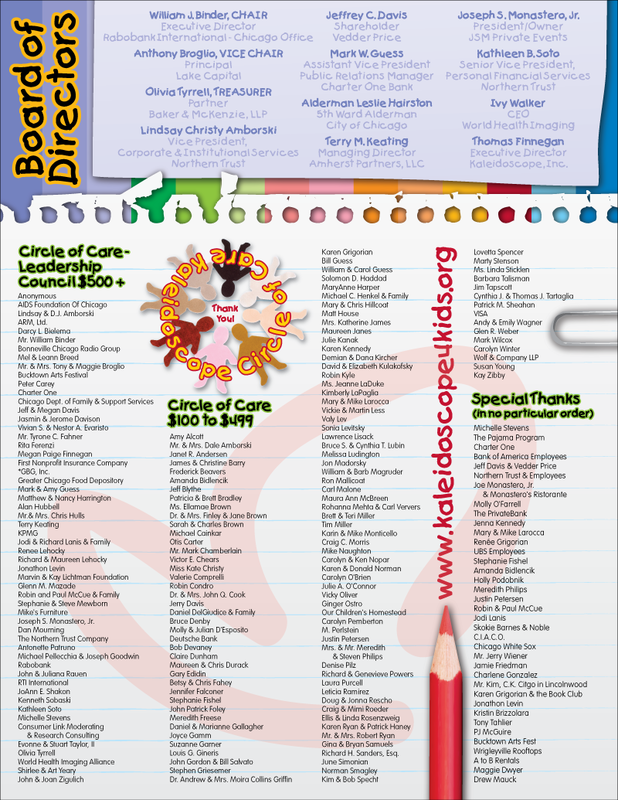 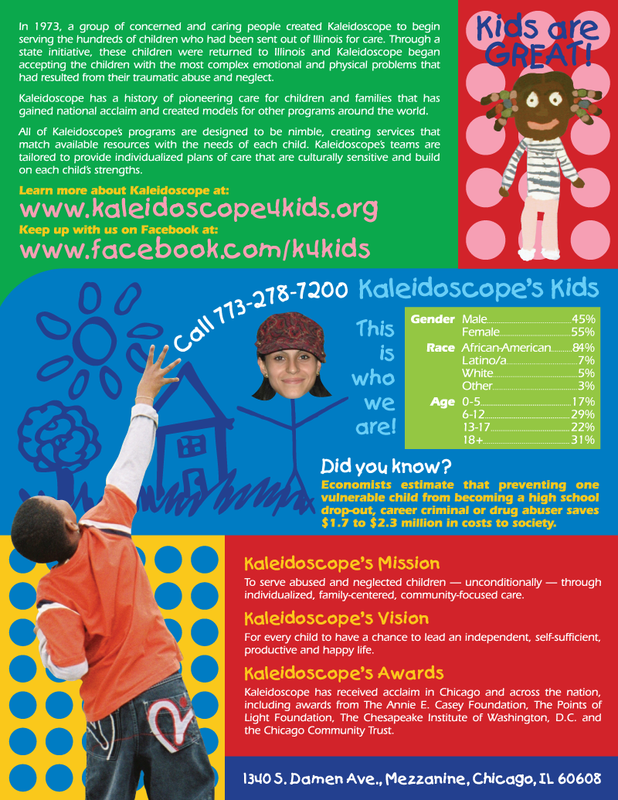 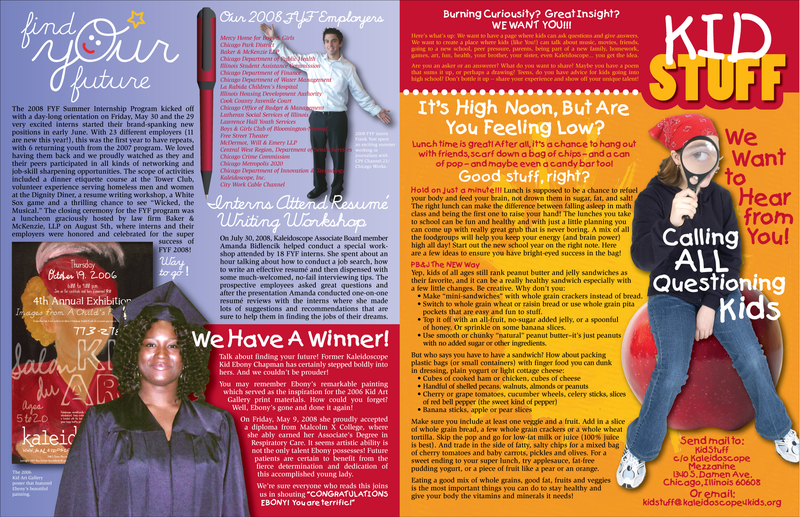 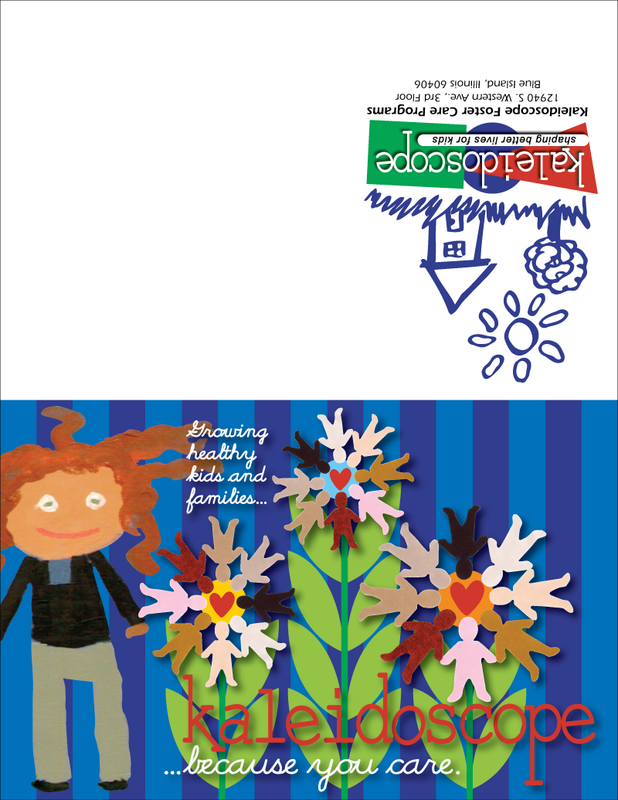 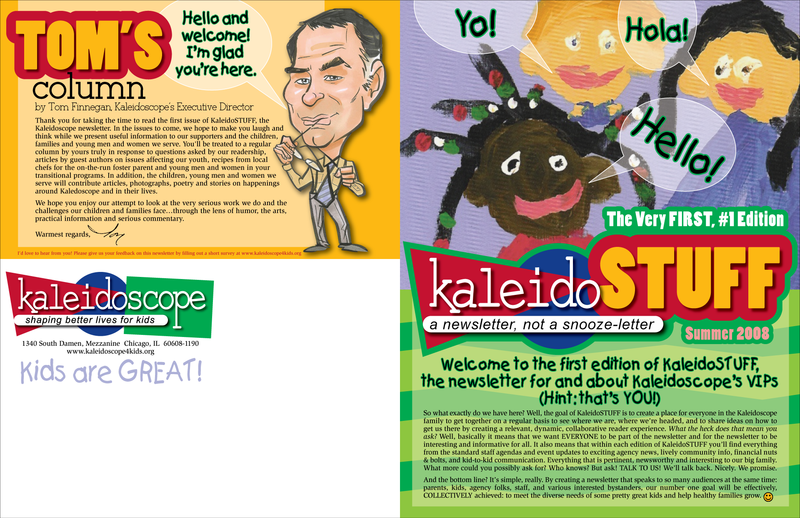 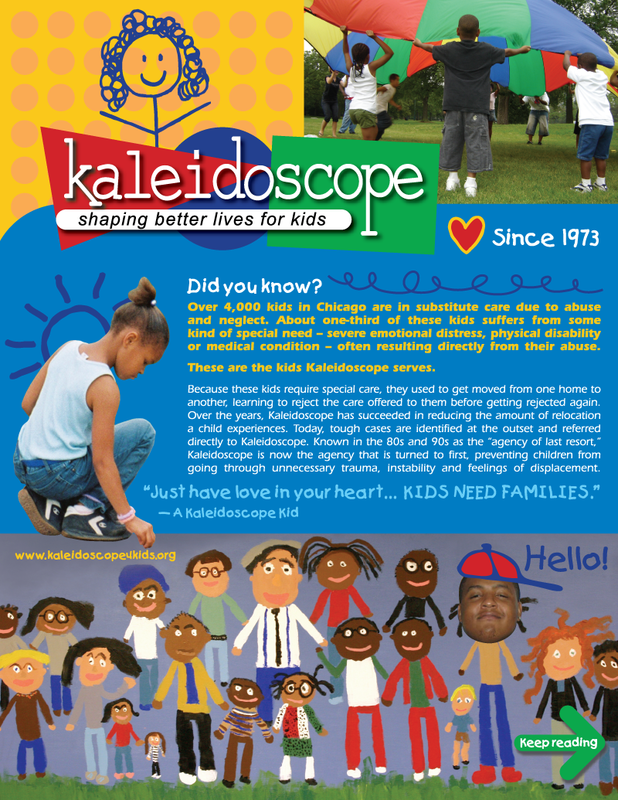 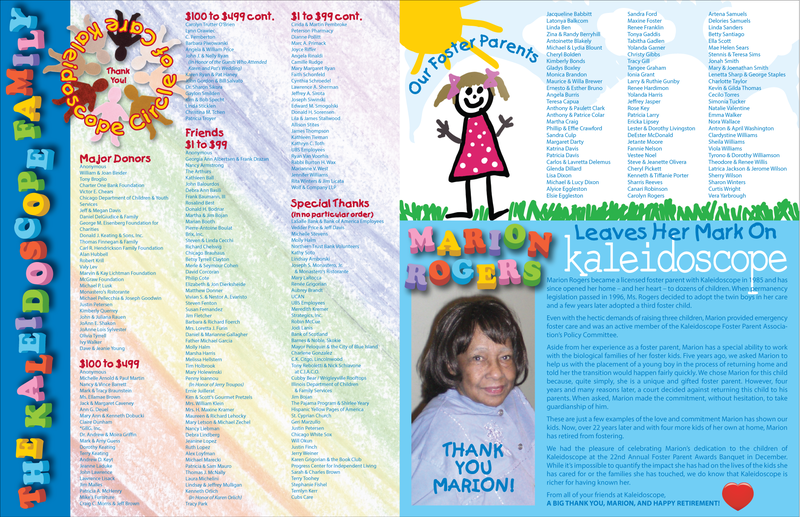 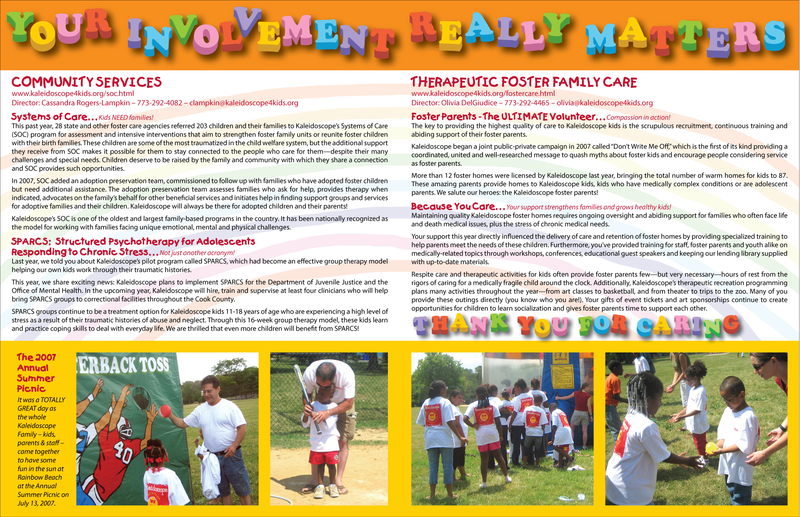 Multiple marketing pieces for Kaleidoscope, an organization that finds foster families for hard-to-place children that have suffered from extreme abuse, violence and neglect. 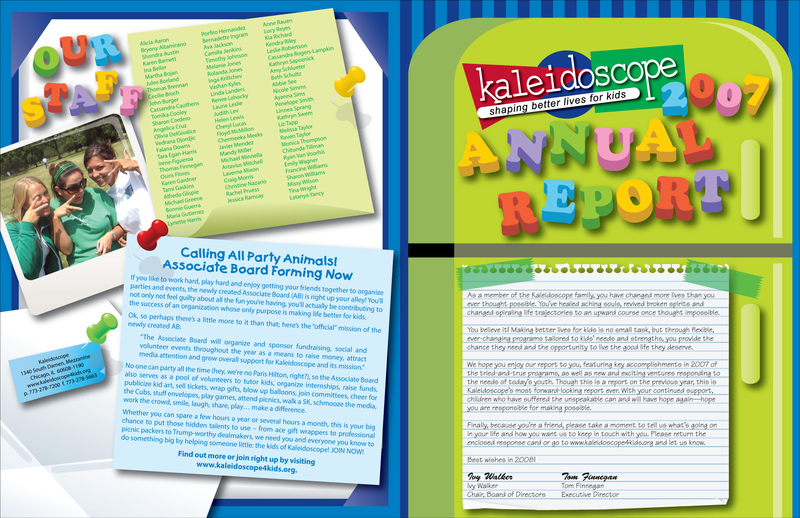 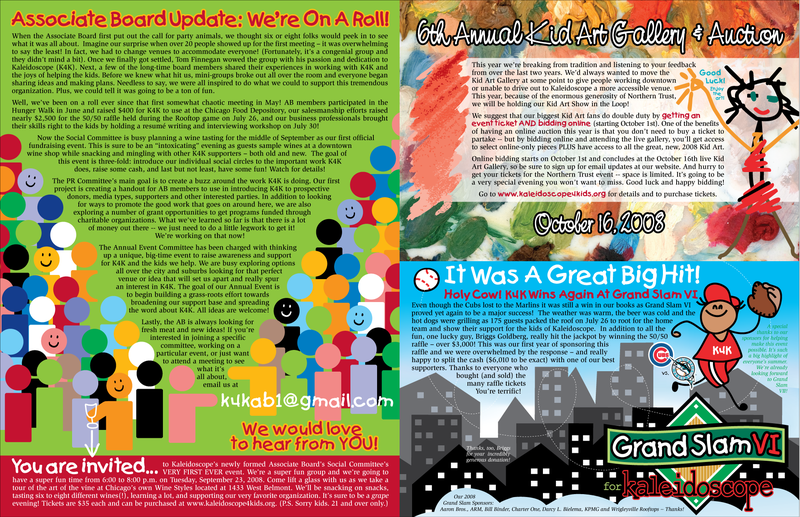 These materials provide essential information about the organization, advertise its events, keep its families and Board members updated with news and developments and direct everyone to available resources. 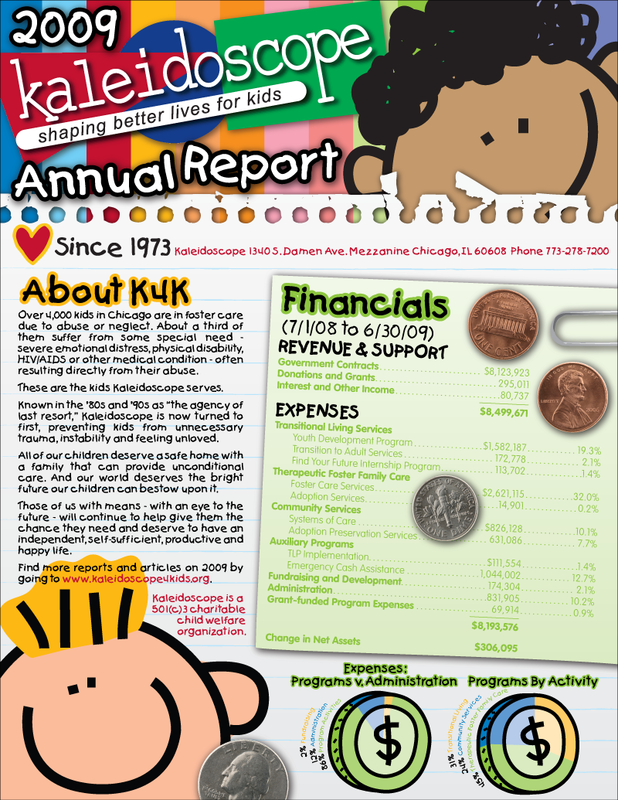 My goal in developing these printed pieces was to create an aesthetic identity that balances an optimistic, kid-centered personality with the hard facts and serious mission of the organization.